Learn by doing! Join in an Amish Folk Art Class, with history of American and Amish quilting. Presented by the Leon Historical Society and Museum, you can make a traditional pattern quilt block with Amish and English instructors. 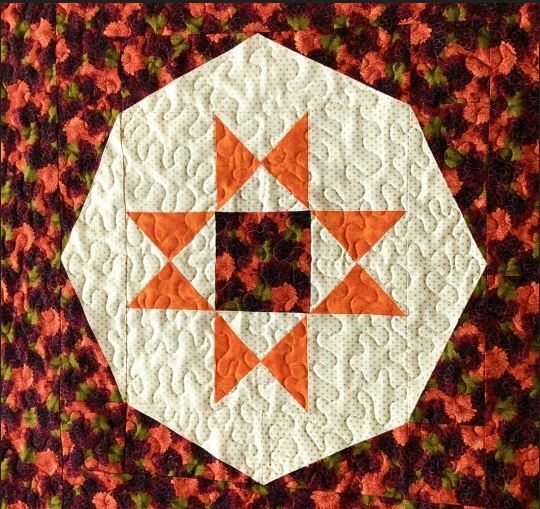 In September's class, you will learn how to make and quilt the Ohio Star in a Mug-Rug set. The day will begin at 8:30am with donuts and coffee, soon followed at 9:00am when the sewing and quilting start! There will be a break for lunch around noon and the day will end at 5:00pm, a whole day of Amish Folk Art! Join us in downtown Leon, NY, in the heart of NY's Amish Trail for fun, laughter, and getting to know the Amish Folk Artists! Full size Amish Quilts will be on display. Cost of class is $40 and includes materials, coffee, donuts, and lunch. For more information, please visit the Historical Society on Facebook, or call 716-296-5709 or 716-257-5272 to register. Class size will be open to 12-15 students. This is presented by the Leon Historical Society with a grant from the Tri-County Arts Council, made possible with funding by the New York State Council on the Arts with support from Governor Andrew Cumon and the State of New York. Photo is an example of an Ohio Star Mug Rug. For more information on this event please visit https://leonhistoricalsociety.webs.com.